Sarah Geha, M.S., C.N.S., L.D.N. Sarah is a Certified Nutrition Specialist (“CNS”) and a Licensed Dietician/Nutritionist (“LDN”) in the state of Florida. 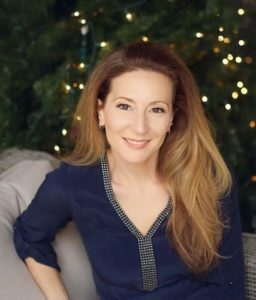 She has a Master of Science degree in Nutrition & Integrative Health from the Maryland University of Integrative Health, and a health coaching certificate from the Institute of Integrative Nutrition in New York City. Sarah graduated from Cornell University with a bachelor of science degree. As a native New Yorker, she worked in Manhattan as a technology consultant for many Fortune 500 organizations. She relocated to the Orlando area in 2004 and continued working in information technology. After 15 plus years of working in the corporate world, Sarah was exhausted. She struggled with migraines and chronic fatigue, and her diet consisted mainly of coffee and microwaved food. Sick of being tired and stressed out, Sarah decided it was time to leave her old career to pursue her true passion: holistic health and wellness. Sarah is extremely passionate about helping people achieve balance and wellness. She has seen first-hand what an amazing difference in basic lifestyle and diet changes can make in a person’s life. Sarah is a true helper at heart and absolutely loves connecting with people and supporting them on their health journey. She feels honored and grateful to work with others while helping them achieve overall wellness, balance, health, and happiness. Sarah can be reached by contacting the Dr. Phillips Center for Wellness. Sarah can be reached by contacting the Dr. Phillips Center for Wellness or at SarahGehaWellness.com.